We had the chance to put some questions to Andrea Mastrovito about the film he directed – Nysferatu: Symphony of a Century, You can see the results below. 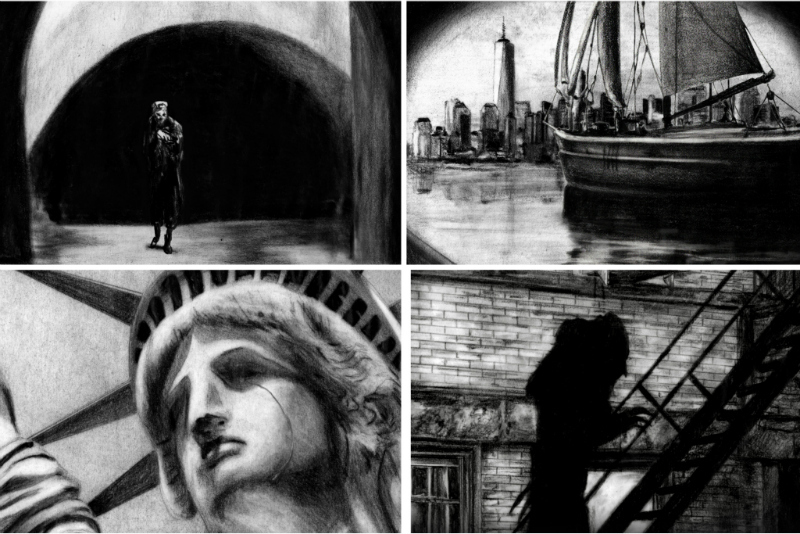 NYsferatu: Symphony of a Century is a stunning rotoscope recreation of the classic 1922 horror film Nosferatu, set in present day New York City, featuring 35,000 hand drawn images, replicating the eerie, flickering shutter effect of early cinema. Turning the original premise on its head, NYsferatu challenges the classical interpretation of the vampire as an outsider, and addresses the many obstacles encountered by immigrants who often escape war and hardships at home only to face economic exploitation, discrimination and xenophobia in their new country. The film will be accompanied by the world premiere of a newly commissioned live score by internationally renowned composer Matthew Nolan (Ireland), with similarly celebrated international musicians Erik Friedlander (U.S.A), Sean MacErlaine (Ireland) and Jan Bang (Norway) at the church where Bram Stoker married Florence Balcombe in 1878. Have you always liked horror films? Well, to tell the truth, no. As a child, I was terrified. Then I realized that my little sister and my little cousin loved them, and I said to myself: well, maybe I should show more…courage, I am the big brother! What age were you when you first saw Nosferatu and how did it affect you? I was a young teenager when Queen – the rock band – came out with their Greatest Hits Videos. I remember I used to watch that VHS over and over again and I was mesmerized by Under Pressure video, where the director inserted many excerpts from this weird old black and white movie. Then I read Dracula and – among the illustrations – I found a framestill from Nosferatu. And I suddenly connected it to the uncanny dude in Queen video. There was no internet, I was so young, with no money and my only weapons were the TV Guide and a busted video recorder: it took me a couple of years and finally Italian television had Nosferatu one morning at 2 am. Tell me about the origins of NYsferatu, how did it come about? In 2014 More Art – a NY non-profit which fosters collaborations between artists and communities to create public art – was interested in my work. 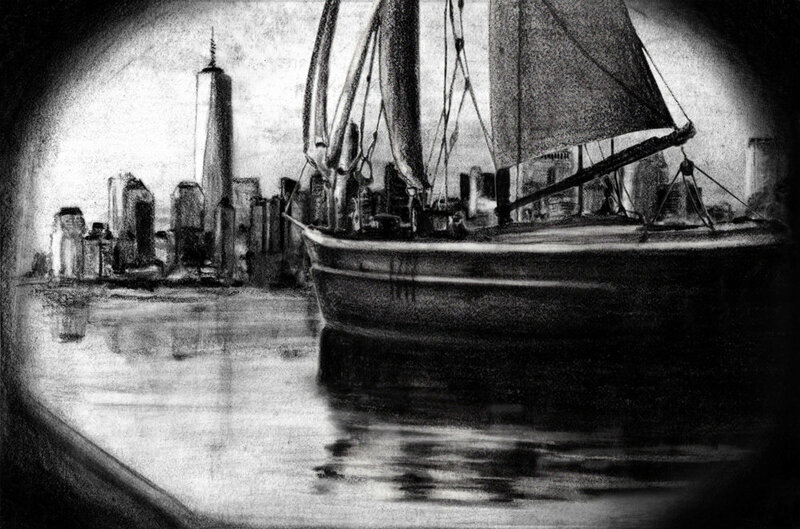 We thought about a public project which could link together many issues of our times in NY, and I came up with this idea of re-setting Nosferatu in today’s New York as a metaphor for immigrations and fear of the unknown. While I started drawing (we made more than 35,000 drawings!) and reinventing the movie, More Art started raising funds, finding locations all across the city for screenings with live score and organizing workshops with me and NY recent immigrants. It took us three years! How do you think the transition of the location to present day New York alters in the film? What were you trying to expose about life in modern America? Thanks to this resettlement (from Germany to New York and from Transilvania to Syria) the resurgence of Hutter, Mina and Orlok’s history in today’s world unveils how our fear towards strangers and fearful approaches to alterity are rooted deep in the past. I’ve got this cyclical vision of life as a continuous recurrence of similar events, from past to present to the future. So in the movie I am not really just talking about life in modern America, but I am trying to summarize our times, our century’s issues on social, economical, political and, moreover, human/ intimate levels. 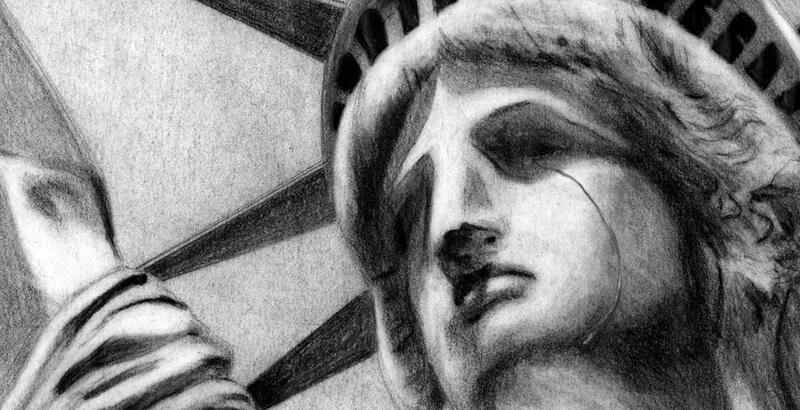 New York here is just a symbol for our whole society. Have you had any involvement with composer Matthew Nolan on his end of the project? Well, I’ve been in touch with Matthew since one year, but I only met him few days ago in New York where he played an INCREDIBLE live score for Rex Ingram’s “The Four Horsemen of the Apocalypse” at Lincoln Center. His performance for NYsferatu during the Bram Stoker Festival will be a total surprise, but from what I’ve seen and listened to…it will be something amazing. Are you coming to Ireland for the screening?